*Standard retail prices as of 2/26/2019. Prices and availability are subject to change and can vary by retailer. Do you like the idea of controlling your lighting from your phone or with voice commands? With smart LED bulbs you can set up your lights with timers, sleep schedules, and different lighting scenes throughout your home. This not only simplifies daily life at home, but can also help you save energy on lighting throughout the year. And changing your lighting is as simple as opening an app––or asking Alexa to do it for you. Dare we suggest that light switches are a thing of the past? Data effective 2/26/2019. Details and pricing subject to change. Philips Hue systems are best if you plan on using multiple smart bulbs throughout different rooms. You’ll have to connect the Hue Bridge to your router using both an Ethernet cable and a power cord to allow the Bridge to work as a hub. From there you can sync all the Hue bulbs easily over your Wi-Fi network. The Philips Hue app gives you all the important features like creating groups, setting timers, controlling dynamic color and brightness, and scheduling lighting events (like having all your lights come on when you get home). That’s helpful when you come home with two armfuls of groceries or a pair of newborn twins. 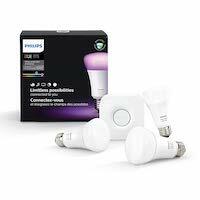 ASecureLife recommends: We recommend the Philips Hue White and Color system if you plan to use more than one smart bulb. If you’re adding only one or two smart colored light bulbs to your home, we’d recommend the LIFX A19. LIFX systems are groupable in the LIFX app, but we think they thrive as standalone lights. The app gives you all kinds of effects from a subtle, spooky flicker to a full-on strobe. You can also sync your LIFX bulbs to your music and they’ll change to the beat. At the very least, this bulb could serve as a fun party trick when you have guests over. And at most it’s a really solid smart light bulb with the widest range of color and brightness options. 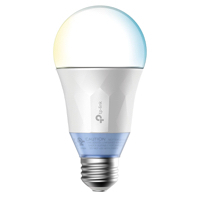 ASecureLife recommends: The LIFX A19 is our favorite standalone smart bulb. It offers bright color and a boatload of fun features in the app. 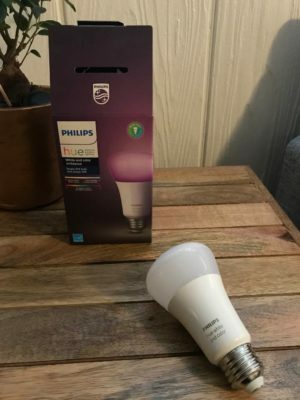 C by GE smart bulbs don’t come with all the same party tricks or features as the LIFX and Philips Hue colored lights, but they hold their own as practical smart white lights. We recommend these lights to anyone who wants a simple and functional smart light system. These lights also work well with Google Home and Apple HomeKit, or you can download an Alexa skill to control your lights with an Echo product. 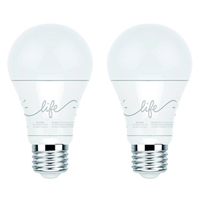 ASecureLife recommends: They’re not the flashiest or most feature-rich option, but we really like the simplicity and affordability of these C by GE smart bulbs. 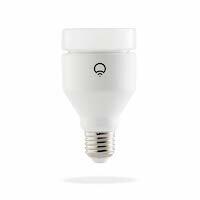 The smart light bulb market is saturated by different brands trying to offer their own smart lighting solutions. 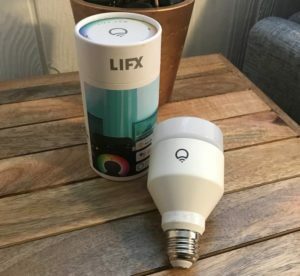 We looked into smart lights by Ikea, Cree, Illumi, and a few other brands. 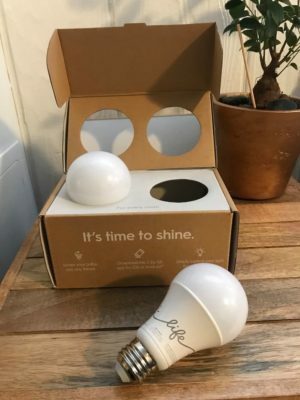 While all seemed to offer viable smart bulbs and systems, we didn’t see any features that set these brands apart from those leading the pack––like Philips. You can also find cheaper light bulb options, like Sengled colored lights, but they don’t hold up to brands like Philips or LIFX in the colored light realm, which offer a broader spectrum of color options and higher-quality bulbs. Unless you’re looking for a single smart bulb, we’d recommend the Philips Hue systems for managing multiple smart lights throughout your home. The Philips bridge feels a little outdated, but it is more reliable when you’re using multiple smart bulbs in your home. If you just want to add a color light or two, we like LIFX smart bulbs for their easy setup, bright colored lighting, and a feature-rich app. If you want to control your smart lighting with a smart assistant, take a look at our recommended smart home hubs. >>Ready for a smart lighting system? 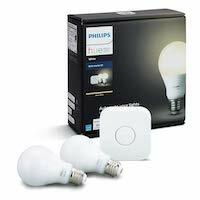 Buy the Philips Hue White and Color Kit. >>Automate your home. Learn more about the Best Home Automation Systems in 2019.